With the holidays just days away, many of us will still have another party to attend or gift to give. If you’re like me, I always like to bring a hostess or service provider (hair dresser, manicurist, etc) a gift. However, the expense of gift giving during the holidays can sometimes be daunting on the pocketbook. That’s when a homemade gift is perfect and more personal. I enjoy creating gifts for the holidays. From homemade plates, candies, cookies and even wreaths – the list is endless. 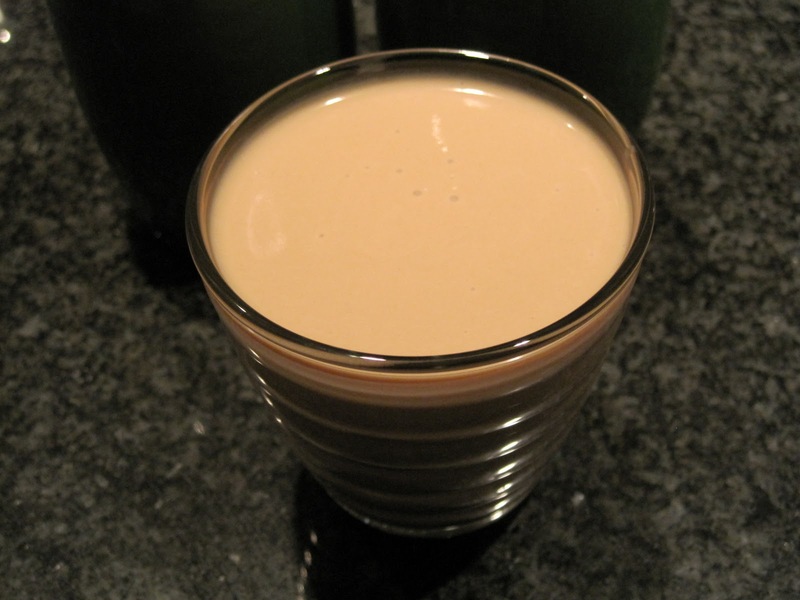 One of my favorite homemade gifts is Irish Cream, a unique gift that almost everyone loves! I posted this last year but thought I’d share it again. I’ve never been much of a drinker but always loved Bailey’s Irish Cream, especially in my coffee after dinner. There’s something about the flavor that for me, is the perfect ending to a perfect meal. So of course when I found out I could make Irish Cream I thought, why not try it! I couldn’t believe how delicious it tasted. In fact, I think it’s even better than the store bought Bailey’s Irish Cream. Plus if I want to, I can add as much or as little Whisky to the recipe as I like. Whether you serve it straight up on the rocks, over coffee, or even in a milk shake it’s amazing! Your friends will be begging you for this recipe. Best of all, you can make several bottles for gifts, at a fraction of what it would cost to purchase Bailey’s Irish Cream in the store. So what are you waiting for? 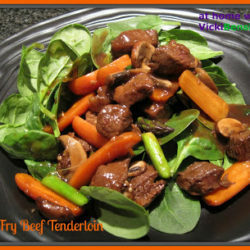 Try this recipe today, if not to give as a gift, then for yourself, or as a special treat for St. Patrick’s Day. I’m sure you’ll agree with me, it’s heavenly! Oh, and one other thing – if you’re not a fan of almond extract try using coconut. It gives it a whole new flavor that you may like even better. Place all ingredients except the whisky in a container and blend. Once blended add the whisky and blend again. That’s all there is to it. Before pouring into bottles you may want to strain the Irish Cream through a fine mesh strainer to be sure there aren’t any larger coffee grains left. This recipe was able to fill 2 (330 ml) Perrier bottles. They come in a 4 pack. I just removed the labels and washed them well. Then using a funnel, pour the Irish Cream into the bottles and tie a bow around it stating what it is, that it needs refrigeration, and when it expires. This is best served after it’s had time to chill in the refrigerator. 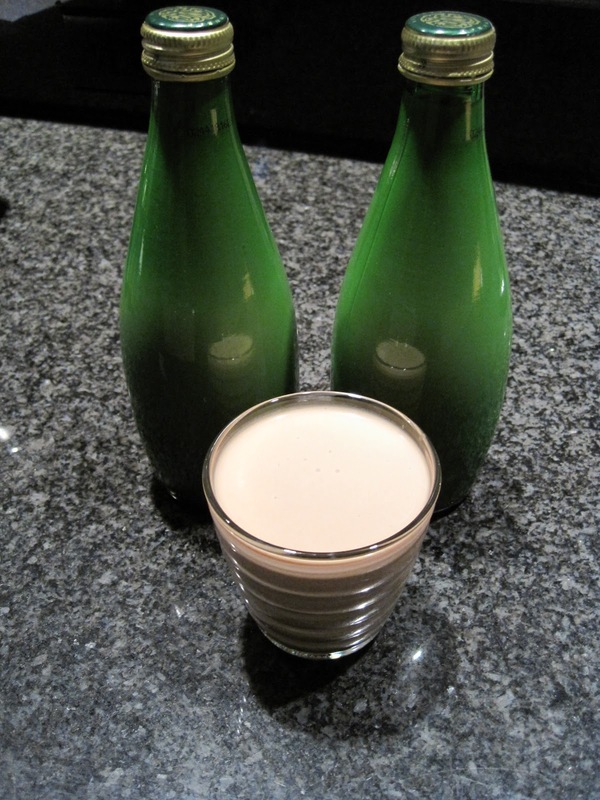 The homemade Irish Cream can be stored in the refrigerator for up to one month. However, it’s so delicious I’m sure it won’t last that long. You are my hero today!!! This is just brilliant. I went to buy some bailey’s the other day but couldn’t bring myself to spend $40 on one of those small bottles. I’m not against spending money on decent liquer, but that’s just too much. Now I get to make my own!!!! Trust me on this one, you’ll love this. 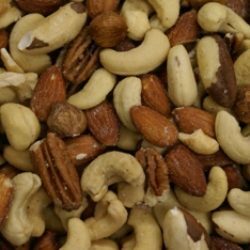 It is delicious and can be used for baking all sorts of yummy treats as well. Very cool! I enjoy an occasional Bailey’s, but never thought to make my own. Great recipe. I like both almond extract and coconut, so I’ll probably try both! Thanks for a fun recipe. Thanks for stopping by. 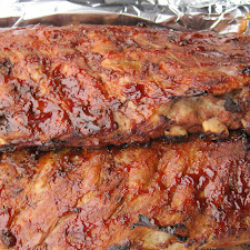 I am quite sure you’ll love this recipe as will your friends if you can part with yours to share. Thank you for posting your recipe. I can’t wait to make this for friends that we visit every Christmas Eve. I know that they will really enjoy it. Everyone I’ve ever served this to loves it. With so many beautiful bottles out there you can find a beautiful one to fill. I just use Perrier bottles and clean well. They’re green with a screw top lid. This is the best gift I would like to receive. The Irish liqueur has condensed milk in it that is why it is so sweet. I don’t know exactly what the “Baileys Irish Creme” has in it but this recipe is a dead ringer of it and does use sweetened condensed milk. I bet this is way better than store-bought. Plus, the nice thing is you can adjust if you like more chocolate or more coffee flavor. Yum! I’d love to make this for my book club for Christmas next year! It sounds amazing! I love the homemade Christmas gifts. I’m making a lot of homemade gifts this year for Christmas. Great recipe. Carolyn this is much better IMO than the store bought and like you mentioned you can doctor it up or down anyway you choose. Parsley Sage I’m glad you got it worked out. Lizzy in the meantime try it for yourself this holiday, why wait until next year? Christine thank you for your comments. I’m unable to link to your site. Hopefully you’ll post a link. Thanks for stopping by. 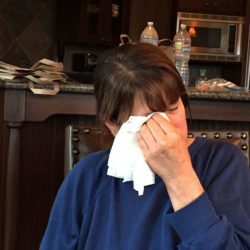 Vicki – this is the COOLEST! I love Bailies! Thanks SO much for sharing and I can’t wait to give this one a try! please give me 2 glasses. Thank you so much for the comments on my blog Vicky, really appreciate it very much. Bailey’s is one of my fav drink and I do have a drink or two from time to time. The one you have shared will fit perfect as a weekend drink, sure a try for me. How fun Vicky! What a special treat for the holidays! I’m not much of a drinker too but it sounds like you really enjoy this and my husband loves whisky…why not trying and share some joy with him as I can’t be a good company most of the time… Hehee! Now this certainly is a fabulous gift at Christmas. What a super idea! So versatile as a tipple and in cooking, too. Thank you for your comments. It’s delicious and a great treat to make for yourself or to give. If you try it I’d love to hear what you think. Hope everyone has a very Happy Holiday! Vicki I’m not much of a drinker either, but I do enjoy Bailey’s! It’s great to have a recipe to make at home! Thanks Christy and Jill. I like bringing a gift and this is not only affordable but easy and quick to make. I like my Baileys with coffee. How do you like yours? Love this recipe and I too love to gift home made goodies for the holidays. I know I would love to get a gift like this! Will try this one out! This is a great recipe. My husband and I both love Bailey’s so I will have to try your recipe. Asmita and Words of Deliciousness, thank you for stopping by. I hope you enjoy the Irish Creme if you make it. We all love it as do those I gift it to. wow this is totally cool! I didn’t know Irish cream liqueur could be homemade! Thank you for sharing! 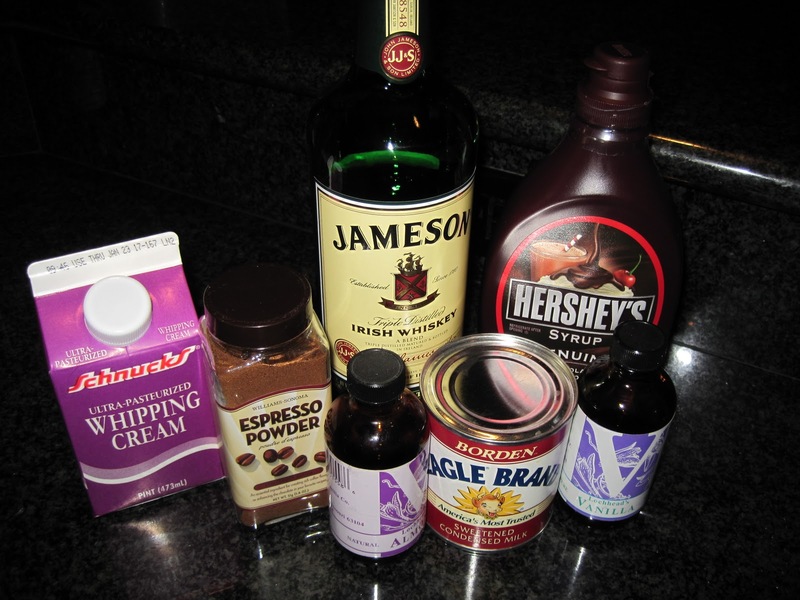 Never thought of making Irish Cream at home but now that you’ve shown us how it seems inevitable. Christmas wouldn’t be the same around here without homemade gifts, whether from the kitchen or the crafts room, they area always special to give. Angie I agree it’s very cool to be able to make homemade Irish Creme especially when it tastes better than the store bought. Cheryl and Adam I think it’s so special when people give me something that they’ve made. This Irish Creme is so delicious it can be used alone, in coffee, poured over ice cream, used in baking, the list is endless. I give them in Perrier bottles but with so many lovely bottles out there to purchase you can find them in a wide range of sizes and colors. Hope you enjoy this if you make it. Patty if you love Baileys then you’ll definitely love this. I hope you try it. I love baileys! This is a super cool idea! Thanks for sharing Vicki!